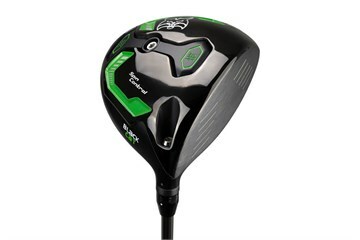 The Lynx Black Cat driver features a 460cc 2-piece titanium head with a premium matte black crown for reduced glare. New cup face technology and face hardening treatment increase ball speed and reduce spin for more ball speed and distance. EET (Effective Energy Transfer) technology enlarges and improves the sweet spot and forgiveness on off-centre strikes. Adjustable weight bar allows the player to put more weight at the front or back to tune flight characteristics.